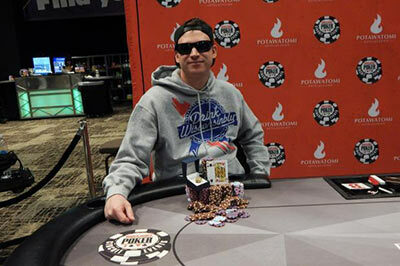 Main Event champion Michael Hudson scored over $200K and a World Series of Poker gold ring, guaranteeing himself a seat at the Global Casino Championship. The World Series of Poker is bigger and better than ever and Potawatomi Hotel & Casino was once again an official Circuit Event stop. Players competed against some of the world’s best for a guaranteed Main Event prize pool of $750,000 and a shot at the World Series of Poker Global Casino Championship. This year’s Main Event prize pool topped $1 million! Tournament events ran January 31-February 11. The Main Event occurred in the comfortable and expansive Event Center. 16 Official World Series of Poker Global Casino Championship qualifying rings were up for grabs.